While the importance of the private sector for war-to-peace transitions is clear, little has been said about the specific strategies adopted by companies in transition periods. How do companies prepare for peace? What choices do they face? And what unique strategies do firms take to adapt to political change? Here, Jason Miklian and Angelika Rettberg identify four types of business strategies for peace (operational, political, philanthropic, public relations) used by firms operating in Colombia to expose key knowledge gaps and promote new research strands that can better integrate strategy and risk calculations into testable study of business-peace relationships. However, the notion of ‘peace’ is divisive after more than fifty years of civil war, and the precise strategies that firms adopt to prepare for and help build peace are as diverse as they are opaque. Our preliminary research with 20 businesses in Colombia has shown that the “logic of the firm” is well documented for crisis during conflict and the political risks therein, firms also respond and adapt their strategies in conflict-to-peace transitions. But just as crisis does not spell overall downturn but hits firms differently, business strategies for peace present similar variation and do not simply amount to the opposite of strategies during conflict and crisis. So how do firms prepare for peace? Our research found that business strategy has unique characteristics during vital transition periods from armed conflict to peace. We found that desperation is the mother of change in corporate behavior, so that the higher the perceived cost and uncertainty, the more likely that key business actors will innovate and explore alternative routes of peace action. We also found that the greater access business actors have to public decision-making, the easier it is for officials to keep business involved and the more likely that business actors adhere to peace policy. Operational Strategies are decisions by firms to expand/contract their investments, production, location, or staff in response to opportunities provided by the end of armed confrontation. Examples include the ‘territorial peace’ strategy that encouraged and subsidized firms starting new operations in impoverished areas, intentionally sourcing products like coffee and fruit from at-risk regions to promote economic growth, and strengthening supply chain security through development and infrastructure support. Philanthropic Strategies include companies’ efforts to provide public goods that yield no clear returns on their investments. Examples here include participation in demobilization schemes for former combatants, biodiversity and conservation programs like water and rainforest protection, and health and education programs like building or funding schools and hospitals. Political Strategies are efforts by firms to access state decision-making via funding of electoral or media campaigns, strategic lobbies, or the organization of associations to pursue joint interests. Examples here include the participation of business leaders in peace negotiations at the Track I and Track II levels, direct funding of political campaigns and referendums (as some firms did for the ‘No’ campaign of the peace referendum), and funding of mediators, advice on design, and participation in negotiations and corporate stakeholder engagement as a form of local corporate peacemaking. Public Relations strategies are efforts designed specifically to promote a positive impression of the firm. Examples include collaboration by the Bogotá Chamber of Commerce with the UN Global Compact to handle financial support and branding of public peace events, the SoyCapaz peace campaign by 100 Colombian firms, and Colombian beauty firm Masglo’s ‘reconciliation’ line of nail polish products, including “tolerant blue”, “inclusive pink”, and “glitter/shine of trust” shades. Of course, these actions are not created or seen as equal. Generally, the CEO’s motivations are of critical importance for peace action, providing the ‘inspirational spark’ for strategic corporate peace in nearly all cases we studied. Another important lesson from these examples is that the negative impacts of unsuccessful peace action are felt far more deeply than the positive, and can make a deep impression to leadership on the value of business-peace action and future engagement. Ineffective peace actions are typically quickly forgotten, with few lessons learned applied elsewhere. While this research provides a blueprint for study of business strategy during peace and conflict, it also shows ways that scholars and practitioners can study these dynamics. For example, what variables make the most impact upon successful peace transition strategies for business (like size, sector, nationality, and level of community engagement)? Does business participation in peacebuilding give firms better access to markets or state support (information, networks, contracts)? What efforts are made to solidify business gains and reduce negative business consequences of peace (land reform, payments to rebel groups, tax reform, exemption from truth commissions, etc. ), and how effective are they? More fundamental questions relate to the unclear societal role of the firm in peacebuilding, and how peace strategy alters equations for peace. For example, how do firms supplant the state in contexts of institutional weakness, and does this allow the state to abdicate its local responsibility for peace? Does business participation make peace more durable but less equal? Practitioner findings could better relate corporate involvement to peacebuilding frameworks, moving beyond notions of firms as conflict actors that simply reap the benefits of ‘the spoils of peace’ to recognizing their imperfect roles during peace processes themselves. Finally, studying all of the above in different conflict-affected countries, with different firms, or with different company offices of the same firm in different countries of operation would hold great comparative value. Although this emerging field is both vast and relatively untested, there lie multiple promising research avenues for scholars and practitioners. Together, they can help show the conditions for making peace more durable, more holistic, and more comprehensible for some of society’s most powerful actors. This post is part of CDA Collaborative Learning Projects’ Business and Peace blog series. You might also be interested in reading more about the business and peace project and the case studies and reports from which some of this post is based. Additional case studies produced by CDA and La Fundación Ideas para la Paz (FIP) focused on Colombia and companies operating in the presence of armed non-state actors are forthcoming in Spanish and English. Please feel free to post your comments to the authors on this page, or contact Senior Program Manager Sarah Cechvala, at scechvala@cdacollaborative.org, with your reactions or suggestions for further research or discussion. CDA is undertaking a collaborative learning project on the topic of business and peace. In partnership with the Peace Research Institute Oslo and the Africa Centre for Dispute Settlement, CDA is seeking to enhance the evidence base in order to better understand how, why, and through what means the private sector companies might be able to impact peace and conflict dynamics. Over the next several months, preliminary findings and other work products from this project will be posted here on CDA’s website. Click here to subscribe to project updates. 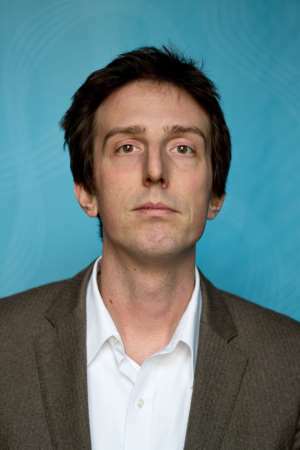 Jason Miklian is a Senior Researcher at the Peace Research Institute Oslo and postdoctoral fellow at the Centre for Development and the Environment at the University of Oslo. His primary research focus is on the role of the private sector in peacebuilding and sustainable development. 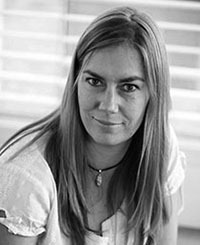 Angelika Rettberg is an associate professor at the Political Science Department at Universidad de los Andes (Bogotá – Colombia), where she leads the M.A. Program on Peacebuilding. She is also a Global Fellow at the Peace Research Institute of Oslo (PRIO).